Flexy is a dietary supplement that may assist in the storage, and the rebuilding of collagen and prevents partial wear and tear of the flexible links in the human body. 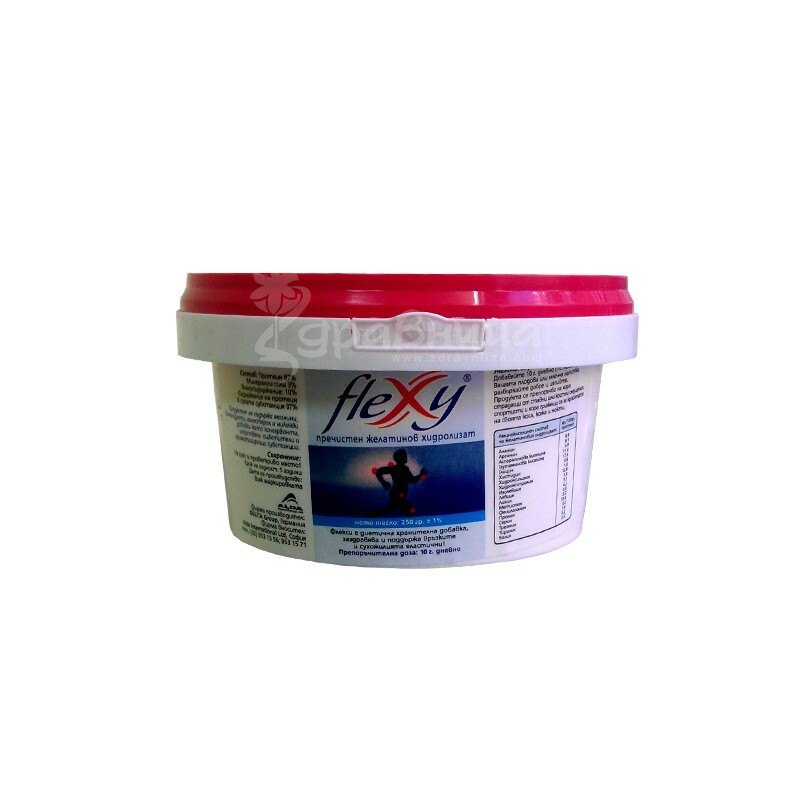 Flexy is produced through a unique enzymatic hydrolysis process, which resulted in a product with very low molelulno weight. Finished powder form is extremely stable agglomerated powder by drying. The base of Flexy hydrolyzed collagen protein which is composed of 19 different amino acids linked by peptide bonds into shorter molecular chains of triple helical structure. 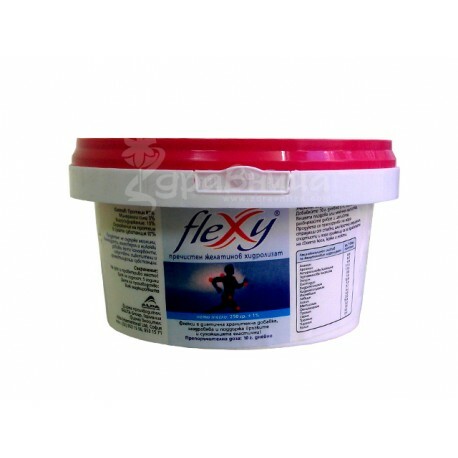 Because of the very low molecular weight, dosage amounts Flexy can be absorbed in the digestive tract without problem. Flexy is one of the most modern tested nutritional supplements available on the market and is proving to be completely harmless. What are the advantages of Flexy? - For people who are actively engaged in sports. Protein 87%, Mineral Salts 3%, Moisture 10%. Protein content in the dry substance: 97%. Mix Flexy with fruit or milk drink. Stir until dissolved. Flexy dissolves easily and has no taste or smell.